Party planning isn’t always simple, especially if you want your bash to be the talk of the town. Most party planning begins with making a guest list so that you have an idea of how many people you’ll need to accommodate; but then, the fun can begin! Although event planning might not be simple, it can still be an exciting process—particularly when deciding how to make your event stand out from all the other events over the course of the year. One way to make an event special and singular is to adhere to a cool theme or concept. A carnival-themed party is versatile for many reasons: it’s a great way to appeal to guests of all ages; it gives you plenty of ideas for food and entertainment; and it’s perfect for events of all kinds. Whether it’s a corporate event, a birthday party, an after-party for a sports game, or a celebration of a rite of passage such as a bar or bat mitzvah, a carnival theme can be implemented for many different types of occasions. 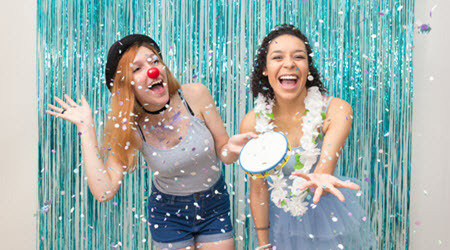 If you’re considering throwing a carnival-themed party, here are some tips that can help you find all the right elements to make your event shine. A carnival-themed event requires over-the-top decorations and exciting features that let all the guests know exactly what type of event they’re attending. Posters and props are a great way to get guests in the carnival spirit and to transform a blank space into a carnival extravaganza. Banners are also a great idea for an entryway that will upon entry immediately transport your guests from a boring average day into a day at the carnival! Clowns, stilt-walkers, jugglers, magic shows, bands, and other exciting entertainment ideas are perfect for a carnival-themed event. 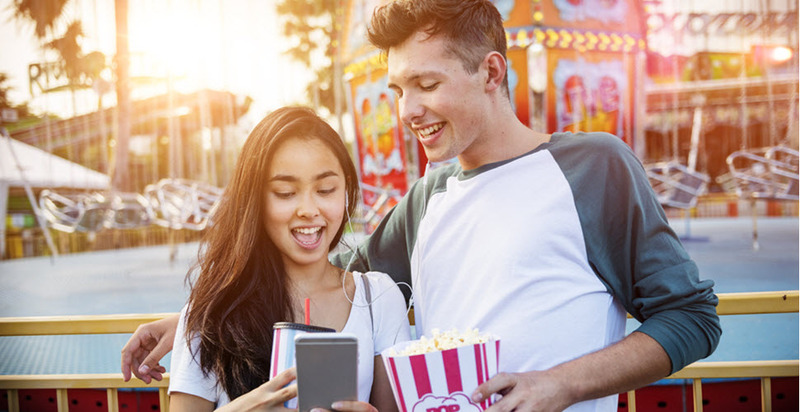 These kinds of entertainment features create an environment where your guests can’t help but find fun and excitement in any direction they’re looking. Entertainment is an aspect of party planning that must not go overlooked in order to make sure your carnival-themed event stands out and keeps your guests talking about it for years to come. Carnival booths are a perfect way to house all the fun that your guests can have at your themed event. Perfect for large outdoor spaces, carnival booths can include virtual game rentals such as competitive sports games like basketball hoop shots. You might also consider having virtual games where your guests can win prizes for playing! After all, every guest shouldn’t leave without a souvenir of some kind! Carnival-themed events offer a lot of different opportunites to get creative. It might take a moment to think about all the fun and excitement that one often experiences at a carnival, but once the floodgates open, the options are endless! Carnival foods can serve as a way to feed your guests, but also add to the overall ambiance and carnival-like attractions. Cotton candy and popcorn machine rentals are a must for such an event. You might also consider adding a face-painting station for all the kiddos in attendance. Heck, why not allow the adults to partake too? Carnivals are meant to transport attendees into a world of imagination and excitement—why not let it be an adult day for fun too? You can even have an “adults only” bar area with special carnival-themed entertainment and furniture. Here at Creative Event Services we love our job, and it shows in the events we’ve planned over the years. Whether you’re planning an event in the areas of Boston, Hartford, or New York, we can help you create a special, stand alone event that will be a memorable experience for you and all of your guests. We have an endless range and supply of carnival-themed food ideas, attractions, and entertainment rentals like virtual games to choose from. We also help each of our clients plan their events with our access to unique resources such as carnival-specific entertainers in the nearby areas. Putting special thought into planning a carnival-themed event is necessary if you want to transport your guests into the magic and fun of it all. If you’d like help planning your next event and would like more information on our resources and services, please contact us directly. We are certain we’ll help you create a carnival to remember.